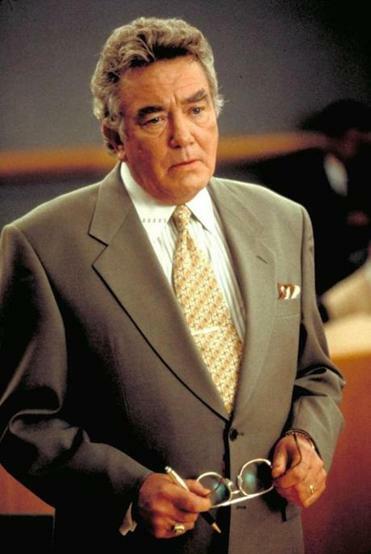 Albert Finney in a scene from “Erin Brockovich” from 2000. LONDON — Albert Finney, the British stage and film actor who defined an era’s rage and frustration in dramas of blue-collar realism and social revolt and went on to find stardom in Hollywood, died Thursday in London. He was 82. His death, at the Royal Marsden Hospital, was confirmed by Jon Oakley, a partner at Simkins, a law firm that represents the Finney family. The cause was a chest infection, he said. Mr. Finney became one of his generation’s finest and most honored actors over six decades. A frequent nominee for an Oscar and Britain’s equivalent of one, the BAFTA, he was a star as comfortable in movies like “Tom Jones,” “Murder on the Orient Express,” “Under the Volcano,” and “Erin Brockovich” as he was on the classical British stage. He first came to wide attention alongside contemporaries like Alan Bates and Tom Courtenay, actors collectively known as “angry young men” — counterparts to the playwrights and novelists who shared that sobriquet. Together they helped turn Britain’s gaze inward, toward gritty industrial landscapes, where a generation of disaffected youth railed against the class system and the claustrophobic trap it laid for workers locked in dead-end jobs. Mr. Finney was propelled to early stardom by “Saturday Night and Sunday Morning,” a low-budget 1960 film steeped in smoggy vistas of smokestacks and deprivation and shot in stark black and white. Mr. Finney played Arthur Seaton, a restless young man caught in sexual adventures and bouts of beer drinking intended to distract him from his job at a cavernous bicycle factory. His broad-voweled northern accent injected a powerful authenticity into the part, and his acting style drew favorable comparisons to such titans of the English stage as Laurence Olivier. Yet he preferred wealth to accolades, according to his biographer, Quentin Falk. Their characters grew from the work of novelists like Alan Sillitoe (who adapted his novel in writing the script of “Saturday Night and Sunday Morning”), John Braine and David Storey, and the playwright John Osborne, whose “Look Back in Anger” set the parameters for what became known as kitchen-sink dramas in the late 1950s and ‘60s. The angry young men were a prelude to the explosion of creativity and license that characterized the swinging Sixties, when the songs of the Beatles, the Rolling Stones and other bands were anthems to a new permissiveness that changed British society. Mr. Finney went on to play an eclectic array of movie roles, from the Belgian detective Hercule Poirot in Sidney Lumet’s star-studded version of Agatha Christie’s “Murder on the Orient Express” in 1975, to the pugnacious lawyer Edward L. Masry, who hires the crusading title character (Julia Roberts) in “Erin Brockovich” (2000), Steven Soderbergh’s tale of a power company pollution scandal. But in 2007, Mr. Finney dropped out of sight, disclosing only in 2011 that he had been struggling for four years with cancer. After his return to acting, he took small parts in the thriller “The Bourne Legacy” and the James Bond movie “Skyfall,” both in 2012. Mr. Finney was nominated five times for an Oscar, four for best actor: as the title character in “Tom Jones,” Tony Richardson’s 1963 adaptation of the Henry Fielding novel; as Poirot in “Murder on the Orient Express”; as an aging, embittered actor in Peter Yates’ 1983 version of “The Dresser”; and as an alcoholic British consul in a small town in Mexico in John Huston’s “Under the Volcano,” based on the Malcolm Lowry novel. His performance in “Erin Brockovich” earned him a best-supporting actor nomination. He was also nominated 13 times for a BAFTA and won twice — as “most promising newcomer” in 1960 and, in 2002, for his performance as Winston Churchill in “The Gathering Storm,” a BBC-HBO television movie that also brought him an Emmy. He never won an Oscar, however, and made a point of not attending the glittering award ceremonies. Albert Finney was born on May 9, 1936, in Salford, near Manchester in northwest England, the third child and first son of Alice Hobson, who left school at age 14 to work in a mill, and Albert Finney Sr., who made his living running bets on horse racing. The family lived at first in a rowhouse — the familiar cramped accommodation of the working classes in a region where the Industrial Revolution had spread a patina of grime, grit and pollution over back-to-back homes separated by cobbled alleyways and streets. Overshadowed by the nearby northern metropolis of Manchester, Salford was known as a factory town and inland port, and its docklands became a target for German bombers during World War II. In 1941, when Mr. Finney was 5 years old, the family was bombed out of its rowhouse and moved to a more genteel home across town. As a high school student at Salford Grammar School, Mr. Finney displayed both a liking for the theater and a poor grasp of academic subjects. A teacher suggested that he apply to the Royal Academy of Dramatic Art — Britain’s premier acting school, usually known as RADA — where he auditioned in 1953 and won a scholarship. By 20, he had completed his course at RADA and was playing parts in Shakespeare’s “Julius Caesar” at a repertory theater in Birmingham, in the English Midlands. He went on to play Henry V in the play of the same name — one of many Shakespearean roles that established his reputation on the stage. Besides Shakespeare, he had leading roles in plays by Anton Chekhov, Samuel Beckett, August Strindberg, and John Osborne. Mr. Finney met Jane Wenham, a fellow actor, in Stratford-upon-Avon in 1957. The couple married and had a son, Simon, who became a film technician. They divorced in 1961. Mr. Finney married the French actress Anouk Aimée in 1970. They divorced in 1978. He married Pene Delmage, a travel specialist, in 2006. He is survived by his wife, his son, and two grandchildren.